Come support Family Outreach during our annual Dining for Disabilities fundraiser! 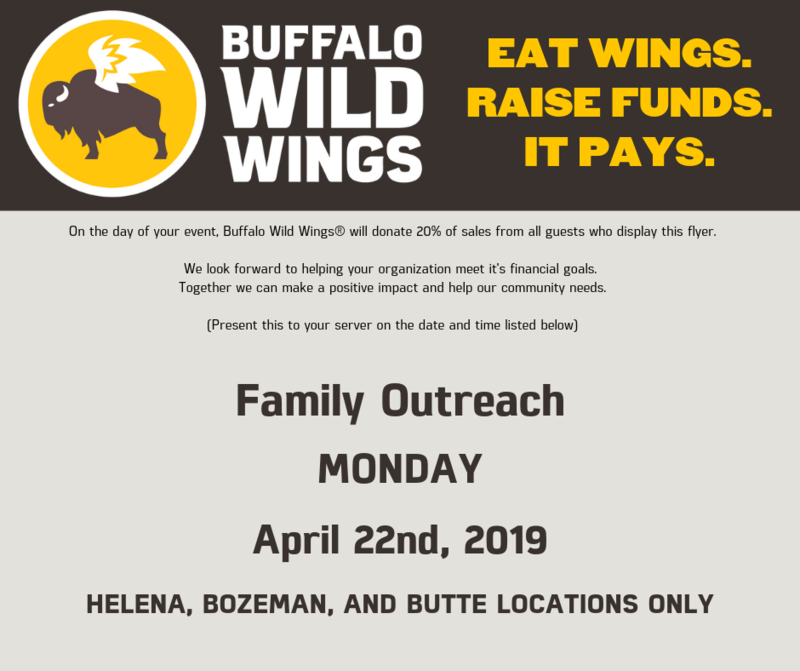 Monday, all day, Buffalo Wild Wings in Helena, Butte and Bozeman will donate 20% of your bill to Family Outreach to help support children and adults with disabilities and their families. Just print or take a snapshot of this voucher to present to Buffalo Wild Wings when you are paying for your dinner.